I'm in the process of re-vignetting most of the house. I want a French Bistro feel to my kitchen. This is what I've done so far. These great reproduction fruit crates make wonderful shadow boxes. 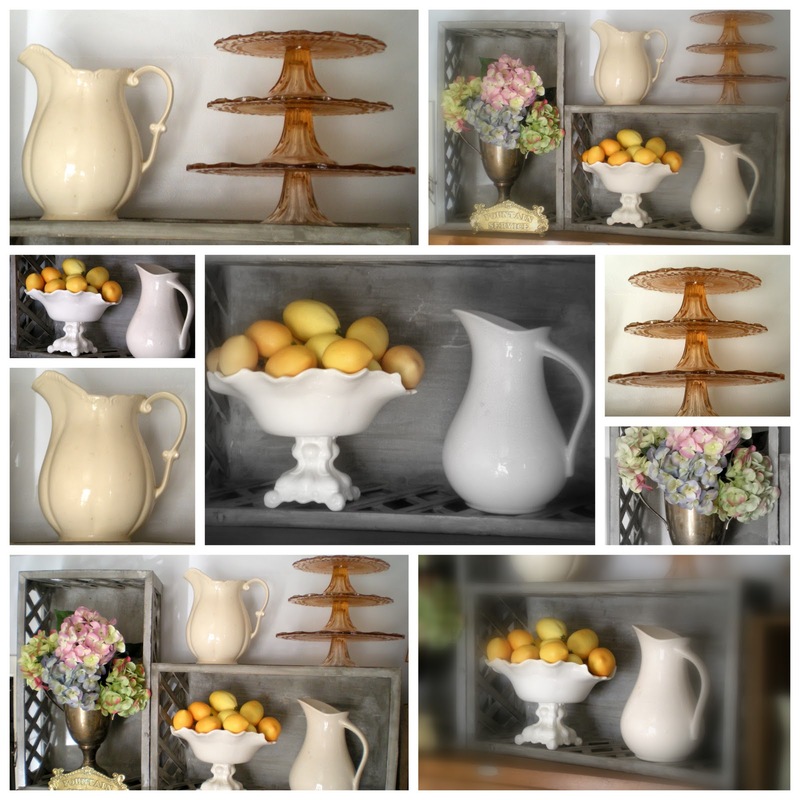 White ironstone and lemons for a pop of color. Of course I have to include hydrangeas--my favorite. I'll be back early next week with some more visual goodies for you!